Anyone that knows what summertime is like in the Valley of the Sun see the challenges that lie in wait. They also see the fun events to enjoy; going to Splashland, or the beach, or visiting family and travel abroad. Long story short, you’re gonna need some cash to make it happen. That’s where B&B comes in. How does a Pawn Shop help in the Summertime? Beside being a place of shelter from the heat, B & B is a pawn shop that can offer pawn loans to items customers own. For example, if you own gold jewelry, we have a loan for that. If you own a desktop, laptop, or any high end electronics, we have a loan for that. Finally, if you own a vehicle, we have a title loan for that thanks to our partners of Phoenix Title Loans. The process is simple: First, have an item in well-kept condition that may possess a significant loan-to-value. What that means is find something that might be worth something in cash. Also consider you’re going to a pawn shop; in most cases, pawnshops like us prefer items that we know that have some form of loan-to-value. If you have concerns as to what they are, please contact us prior to arrival. Second, once you have that item, visit us here in the store. We’ll offer a pawn loan amount in cash. If you are happy with our offer, we’ll hand you the cash in minutes…after some paperwork first. In this summertime, the sky’s the limit! Just think: you can use this to go to places like Sunsplash. You can also take roadtrips to Flagstaff or even to Baja California. You can even just take the money, save up for a rainy day of Netflix and just relax on a well-made Staycation! You can even use the money to pay off any debt you may owe, so it’s up to you on how you use the money. So why go to B & B Pawn for the Summertime? As always, B&B Pawn and Gold is a pawn shop that serves the Valley of the Sun. We continue to work with our customers by providing the best sales you need. If you needed great items at solid discounts, we’re the top choice to make. We cover all residents in Mesa, so don’t feel like your out of reach. Stop by today and get the money you deserve! turkreno https://www.bandbloan.com/wp-content/uploads/2018/11/logo-1.png turkreno2017-06-20 08:00:032017-06-20 08:00:03Summertime is back again! Diamonds are our Best Friend too! Diamonds are a symbol of eternal wealth. Standing the test of time, they continue to shine with luster then as they do now. We at B&B have enjoyed our fair share of ‘a girl’s best friend’ over the years in business. We extend this pleasure to our returning and current customers as well. What can you offer with diamonds? B&B has many services that can help your diamond needs. Whether you own diamonds and need a little pocket money or if you are looking to expand your collection, B&B Pawn is here for you. Our main types of service are that of Diamond Loans. What that means is we offer cash for diamonds given to us. This loan is usually good for a set period of time, in which you would have the option to pay us back or not. You can also pawn your diamonds in the same manner. In respect to diamond loans, the payout may be more on a diamond loan than on pawning your diamonds. As stated before, you can also see to improving your collection as we are also a diamond seller. Finally, we are a diamond buyer (that’s why diamonds are our best friend). You get cash from the diamonds you sell to us. True to our pawn shop business model, we ask you send us your diamonds to the store. Next, we will inspect the diamonds for their value and offer an estimate. If you like this estimate, we then offer you an amount to be given in cash. Then the fun begins, as the paperwork takes a few minutes after the assessment. Finally, the duration of our cash loans is 90 days from the initial payout. If you have further questions about this process, such as repayment or options to extend the loan, visit the FAQ page here. B&B Loan is the diamond in the rough of Mesa! B&B is a little further east of Downtown Historic Mesa. Easiest way to reach us is simply go down East Main Street. You can also reach us with the Valley Metro 45 or the Main Bus Line. Our store has been in successful business for over ten years serving the cities of Mesa, Tempe, Chandler, Phoenix and more. 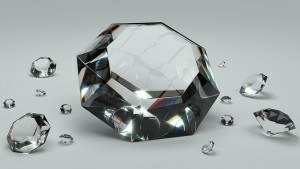 So stop on by B&B Pawn and Gold if you want to see what your diamond is worth! https://www.bandbloan.com/wp-content/uploads/2018/11/logo-1.png 0 0 turkreno https://www.bandbloan.com/wp-content/uploads/2018/11/logo-1.png turkreno2016-08-08 15:53:552016-08-08 15:53:55Diamonds are our Best Friend too! We love gold. We love it so much we are more than happy to buy it off of you. Get the cash you need from the gold you own, courtesy of the Gold Buyer Mesa locals have trusted for over ten years: Oro Express Mesa Pawn and Gold. Our eyes are all aflutter when we are in the presence of all things gold: Gold Bars, Gold Coins, Gold Jewelry, Gold Watches, Gold Plates. In fact the only thing we cannot accept at this time is Gold Teeth. We need them to continue serving their intended purposes. However, all OTHER forms of gold will be accepted on most occasions. Just contact our store for what types of gold we can take and then come visit us with your gold so you can get the money you deserve. So how does all this work? It’s a pretty straight forward process. First, gather any gold you own that you would like us to buy off of you. Second, visit our store with the gold and allow our staff a few moments to assess its value. Depending on how much you bring, this may take some time. Finally, after we have assessed all gold you brought to us, we give you an offer in cash. If you like the offer, we give you the cash right then and there. Yes, there is some paperwork involved, but we’ll try to keep it as simple as possible. And that’s the beauty of Oro Express Mesa as your Gold Buyer! Having been in the Pawning Industry and a part of the Mesa community for over ten years, and serving our customers from Mesa, Tempe, Chandler, Phoenix, and beyond, we love what we do! We love helping people get paid, we love seeing the gold they bring! And most of all, we love being the Gold Buyer Mesa locals can turn to at any time they need to. Visit us today and show us your beautiful smile as we pay you for your gold. Need cash? Mesa’s number pawn shop is ready to pawn pianos, pawn keyboards, pawn organs, pawn accordians, pawn amplifiers, pawn speakers and even pawn harpsichords. If you need cash and have any of these then B and B Pawn and Gold is ready to offer you a short-term pawn loan. Grands, baby grands, uprights, suitcase, acoustic and electric, synthesizers and amps, there is a pawn loan that will fit your needs and provide you with the cash that you need right now. 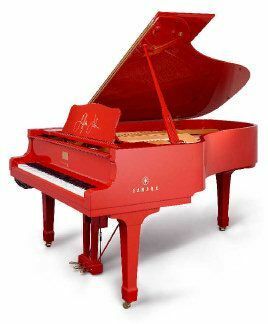 Now wer realize that not everybody has a grand piano that they are considering hauling over to a pawn shop to get a loan, but many people still have spinets and uprights that are no longer being used, badly in need of tune, perhaps missing a key or two that now just sit in a corner or against a wall collecting nick-nacks and dust. Why? Perhaps your vehicle needs some repairs, kid needs braces or the A/C just went out and you need some extra cash quickly. That old piano might hold some sentimental value so you don’t want to sell it but could really use that extra cash and that is why people pawn pianos. Its an easy pro=cess, just bring it in and let one of our friendly and professional appraisers look it over and provide you with a free, no obligation appraisal. Within minutes you can walk out with the money that you need to handle your temporary financial crisis. The beauty of a pawn loan is that it provides you with the cash you need today yet allows you to pay it off at any time with no pre-payment fees or penalties and on your terms. So come in today and see what we can do for you! 85204 has B&B Pawn and Gold when its locals needs us! A Pawn Shop Leading The Mesa Area!